Getting your roof redone or totally replaced seems like a costly endeavor and it is. 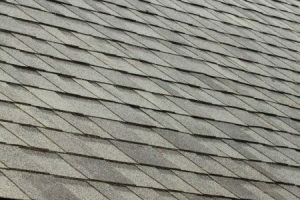 Many bemoan when it’s that time to do up the roof and while we don’t blame them, we still think they need to be educated on the importance of the roof. A faulty roof will cost you more money in the long run, not to mention destroy the inside of your home. It’s as if you’re willingly inviting in all the world’s pests to run rampant in your home; you wouldn’t open your door to let termites in, would you now? Think of a leaky roof as one giant termite; it is determined to tear down your house one way or another. You just can’t keep patching it up; you have to step up to the plate and deal with it, kind of like staff members at the Isabella Stewart Gardner Museum in Boston. Malcom Gay of the Boston Globe writes, “But last winter, under the brunt of an accumulated 110 inches of snow, the historic palace sprang several chronic leaks, endangering items in the collection and forcing staff to take the drastic steps of putting out buckets, rubber mats, and shrouding some works in plastic sheeting.” Really? That’s no way to run a museum with priceless artifacts. That’s also no way to live. Period. The museum came under attack for their method of “patching things up.” Art enthusiasts and city officials were shocked at their irresponsibility and lack of concern. It reflected poorly on them as well as the entire city of Boston. So this is how they take care of their precious things, some would say. Others would marvel at the complete lack of professionalism. Needless to say, the Isabella Stewart Gardner Museum buckled under the criticism and is undergoing a vast project to renovate or replace (if need be) all the roofs (yes, there are multiple roofs!). The whole project will cost around $1.5 million. Next time you think getting a new roof is expensive, just think of the museum. They came around. Will you? As Anne Hawley, the museum director, put it: “We an’t afford to take any chances.” You can’t either.